Bogota is one of the most vibrant cities in Colombia. This colossal city sprawls across nearly 600 square miles in the heart of Colombia. With more than 50 museums and countless other attractions, visitors will never have a dull moment in this historically significant and culturally rich city. 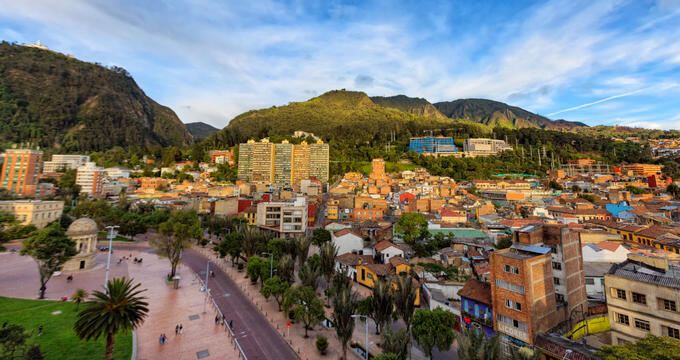 History buffs will love seeing the famous Gold Museum and the Bogota Museum of Art, while outdoor lovers can find peace and tranquility atop the hill of Montserrat. The Bogota Botanical Garden combines art and science by teaching visitors about sustainability, landscaping, conservation and more. One of the primary purposes of the garden is government research into botany and environmental conservation. By 2026, the garden aims to be the most comprehensive knowledge center for Andean biodiversity. In order to pass knowledge on about the environment to young kids, the garden has its own science club. 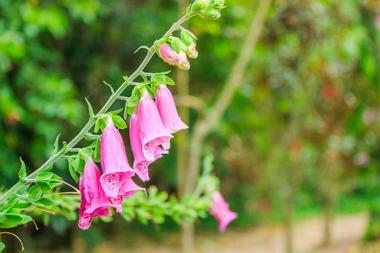 Visitors can tour the Bogota Botanical Garden for a small fee on any day of the week. There are tour guides available for hire throughout the park. For more than 55 years the Bogota Museum of Art (MAMBO) has housed some of Colombia’s most impressive and impactful works of art. As a symbol of the culture and diversity of the country, MAMBO often holds events and forums centered on topics that are of national and international importance. Beyond its collection of paintings, sculptures and drawings, MAMBO hosts discussion panels, creative workshops, talks with creators, academics and influencers, film screenings, tours and other meaningful events. MAMBO is centrally located near the Park of Independence. 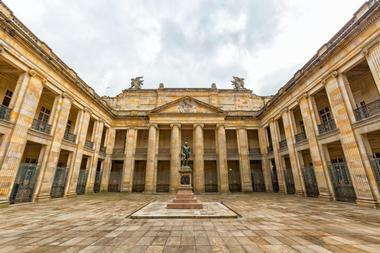 Considered one of the most important buildings from Bogota’s history, Capitolio Nacional was made entirely from quarry stone. Construction on this iconic landmark started in 1864 and lasted for nearly 80 years. Famous architects from around the world participated in the extensive project. Several impressive murals from well-known artists occupy the interior of the building. The beautiful exterior of Capitolio Nacional is a popular photo spot for tourists and locals alike, and the area is known for its wide selection of excellent restaurants. Opened in 1836 after Colombia’s separation from Spain, the Central Cemetery of Colombia is famous for its extravagant and beautiful mausoleums. Presidents, politicians, celebrities and civilians are buried at this unique site. There are several graves that are especially important to the locals. The grave of the Bodmer sisters, who died in 1903 from an unknown disease, is one of the most well-known ones. The mother of the sisters is said to have pleaded with an angel at their grave to spare her only living child, a son who was plagued with the same disease. Another famous grave belongs to Leo Siegfried Komp, an entrepreneur who founded one of the world’s largest breweries. The Colombian National Museum tells the story of Colombia’s rich history. Built in 1823, it is known for being one of the oldest national museums on the American continent. The museum houses 17 permanent exhibition halls and nearly 2500 works of art and historical objects. International history, art and archaeological artifacts are some of the highlights of the museum. There are also numerous presentations, workshops and panel discussions on topics relevant to historical and present-day Colombia. Theater performances, choirs, dance presentations and other activities are offered by the Colombian National Museum as well. 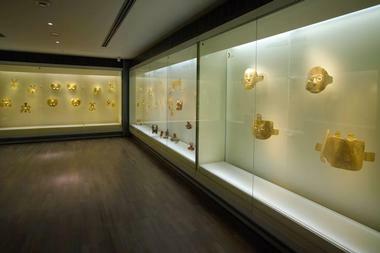 Bogota’s Gold Museum was recently named one of the best museums in the world by National Geographic. Focused on the value and uses of gold over time, the Gold Museum contains the world’s largest collection of pre-Hispanic ceramics, goldsmiths and textiles. 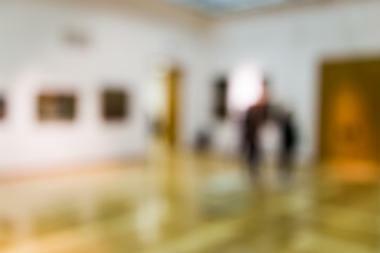 There are more than 34,000 pieces of gold artwork in this spectacular museum. Spread across five rooms, the unique exhibit explores the foundations of several indigenous cultures as well as the history of modern-day Colombia. The museum receives more than 500,000 visitors per year and is one of the most popular spots for travelers to see in Colombia. Located next to the more popular Hill of Monserrate, Guadalupe Hill is equally beautiful but off the beaten path. 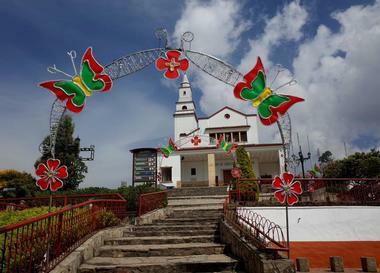 The hill is home to shrine, a chapel and a 50-foot-tall statue of the Virgin Guadalupe. 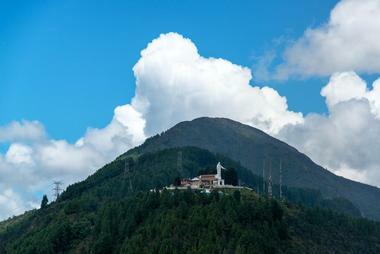 The hill is easy to spot since the statue of the virgin is visible from most parts of Bogota. The first chapel on this hill was built in 1856, but four earthquakes in subsequent years leveled it completely. The current chapel was built shortly after 1917. Visitors can reach the top of Guadalupe Hill by walking along an unpaved path. The Independence Museum--Casa del Florero was founded in 1960 to celebrate 150 years of Colombian independence. The museum was designed to provide an objective look at Colombia’s history and the key players who helped bring about its independence. The museum contains a range of artwork, artifacts, documents and exhibits related to Colombia gaining its independence on July 20, 1810. One of the most prized items in the museum is the Vase of Llorente, which is thought to be a visual depiction of Colombia’s struggle to separate from Spain. The museum is open to visitors every day of the week. The Maloka Museum in downtown Bogota is centered entirely on science and technology. For 29 years the museum has worked with the government to promote scientific learning and research. The museum has a variety of interactive experiences that are great for all ages. 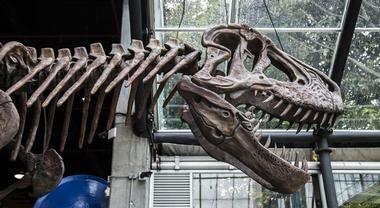 Visitors can study a life-size replica of a T.Rex, an exhibit that teaches the applications of science in everyday life, an outdoor biodiversity tour, an earthquake simulator and a marine wildlife exhibit. The museum also holds workshops, presentations and special events from time to time. 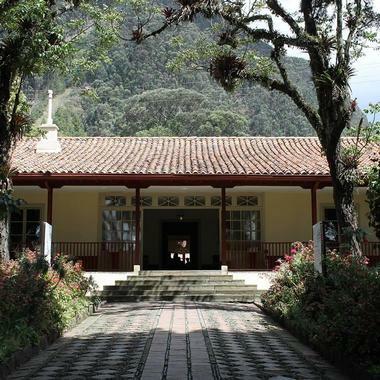 The Monserrate Sanctuary is the perfect place to escape the fast-paced environment of Bogota for an afternoon. Located 3000 meters above the city, the sanctuary houses a religious shrine, a beautiful chapel and several other notable buildings. From the top of the hill visitors can get an incredible view of the city below. In order to reach the sanctuary, visitors can walk along a newly-opened paved path or ride in a cable car. At certain times of the year, such as Easter, the sanctuary comes to life with hundreds of people making the pilgrimage to the sanctuary atop the hill. 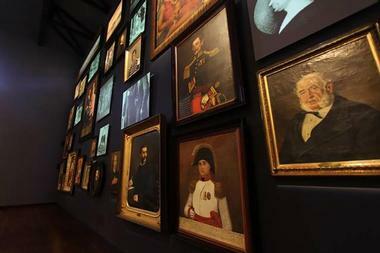 This museum was donated to Colombia’s national bank by artist Fernando Botero. Containing a little over 200 works, nearly half of the items in the museum are paintings, sculptures and drawings done by Botero himself. The works of other prominent artists make up the remainder of the collection. Guided tours, talks, conferences, panel discussions and other activities are held regularly at the museum. When Botero donated the museum, a local newspaper declared it as “the greatest gift that a Colombian has made to his country.” Today, nearly 1000 people visit Botero Museum each day and admission is always free to the public. Owned and operated by the Bank of the Republic, this museum contains a number of significant art pieces from around the world. 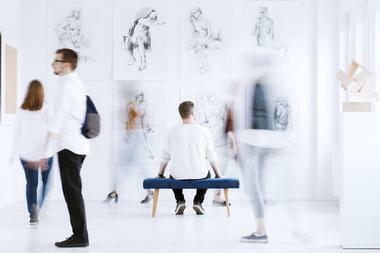 Between its permanent and rotating exhibits, scores of photographs, sculptures, drawings, paintings and documents are on display at this popular museum. The Bank of the Republic owns several museums, libraries and cultural centers throughout Colombia and this is one of its most comprehensive art-focused institutions. The art museum focuses heavily on developing educational experiences for people of all ages. For those who are unable to make the trip to the Museo de Arte, images of all the artwork are available online through the museum’s virtual gallery. 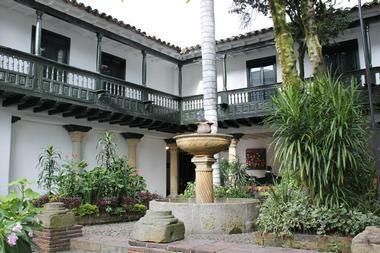 This museum is known for being an example of Colonial-era architecture in Colombia. Filled with furniture, sculptures, artwork and other national and international relics from the 18th century, this elegant home is reminiscent of the haciendas that were once popular among the country’s upper class. The museum holds three venues that are frequently used as meeting spaces for conferences, parties and other special events. In addition to being a popular gathering place, a portion of the land has been converted into a playground that is open to the public. El Chico Museum is open every day of the week except for Sunday. 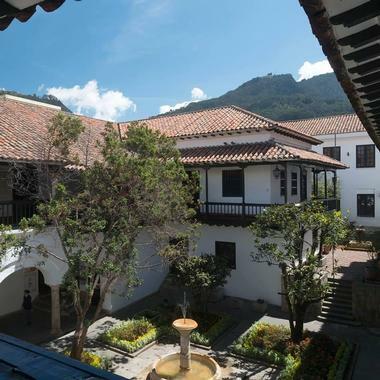 The Santa Clara and Colonial Museums of Bogota are focused on important cultural and technological concepts from the 16th, 17th and 18th centuries. These ornate museums present artwork and artifacts from around the world in a serene and elegant setting. The museums contain a range of permanent and rotating exhibits. Social functions, educational workshops, classes, discussions and community events are often held at both locations. The museums also have special spaces that individuals and businesses can rent for private functions. 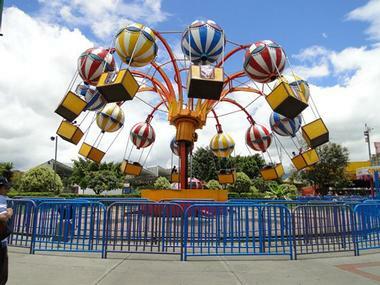 The World Adventure Park is a favorite destination among families in Bogota. Filled with exciting attractions and a myriad of fun activities, the park has something for everyone. Park visitors can test their courage on a variety of theme park-style rides, see a presentation in the park’s 5D theater, or play inside giant inflatable bubbles that float in water. There are also several play areas dedicated to infants and small children. Visitors can buy day passes or “passports” to get access to different sets of attractions. The adventure park is closed on Mondays and Tuesdays. The Planetarium of Bogota is a fascinating attraction for visitors of all ages. Visitors can get an in-depth understanding of the night sky inside the dome; a theater that simulates the night sky. Various presentations on the stars, galaxies, planets and space exploration are held in this large theater. The planetarium also has special exhibits for children to learn about space through sensory play and other simple activities. 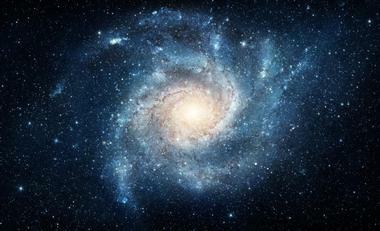 For those who can’t get enough of the night sky, the planetarium organizes space clubs that meet every week. The planetarium is closed on Mondays. Located in the center of historic Bogota, Plaza Bolivar came into existence long before Colombia’s independence from Spain. 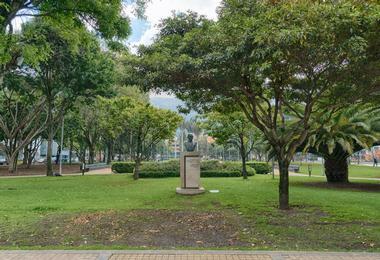 The plaza was designed by the famous conquistador and founder of Bogota, Jimenez de Quesada. Some of the groundbreaking events that took place at this plaza include the 1810 revolution against Spain, Pope Paul VI’s visit in 1968 and the M19 Guerilla attacks in the mid-1980s. 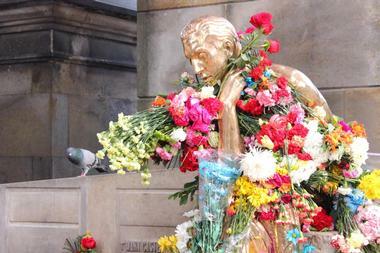 A large statue of Simon Bolivar, a national hero, watches over the plaza night and day. In modern times the plaza remains as a significant site in Bogota where marches, demonstrations, markets, gatherings and other important events take place. Known now as a center for art, culture and trends, 93 Parque used to be a dump site for construction waste. It was revived in the mid-nineties with help from the government and local organizations. Today, the clean, centrally-located park offers multiple activities and events each week. There is a traveling library where people of all ages can borrow books, there are concerts from popular performers, festivals are a common occurrence and there is a cinema located in the park for regular movie screenings. Residents can reserve parts of the park for hosting their own events and gatherings as well. Known as the spot where Bogota was founded, Plazoleta Chorro de Quevedo is a colorful and vibrant attraction in the heart of the city. Located in the La Candelaria neighborhood, this historic spot houses an ornate chapel flanked by a narrow alleyway. A few other small buildings along with some street art murals complete this special little plaza.The plazoleta is a popular gathering spot for street performers, college students and locals. Travelers can find plenty of food and drink options in this area as well. This cathedral is officially known as the Metropolitan Cathedral Basilica of the Immaculate Conception. This elegant Roman Catholic cathedral features towering spires, rows of ornate windows and doors, several gorgeous domes and a peaceful chapel where visitors can worship. The chapel has been built four different times in the same place. The final construction took place in the early 1800s. 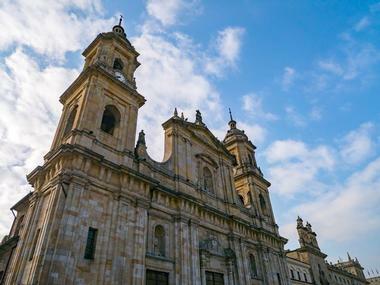 Today, the chapel holds the remains of Gonzalo Jimenez de Quesada, the founder of Bogota, and it holds a record for being the largest cathedral in Colombia and one of the largest cathedrals in South America. Quinta de Bolivar once belonged to Simon Bolivar, a famous liberator, fighter and politician in Colombian history. 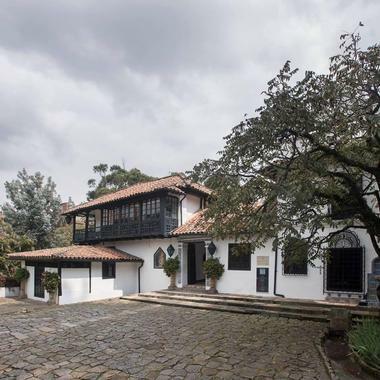 Bolivar owned this property for more than 10 years but didn’t spend much of his time at the quinta until later in his career, when it became a haven from his busy life in Colombia’s political scene. Prior to Bolivar’s passing he transferred the property to a close friend. Years later, in 1990, the Quinta became the focus of a government-run restoration project. Today visitors can tour the property and see several historic rooms as well as the beautiful garden where Bolivar spent much of time thinking and relaxing. This large theme park in Bogota is the perfect destination for adrenaline seekers. There are a variety of rides and attractions for visitors of all ages. 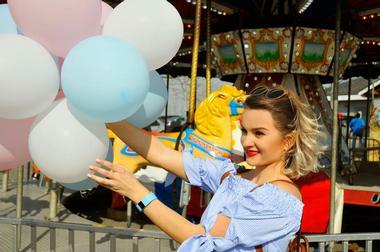 Young kids can play on the carousel, the flying chairs or the mini train, while older children and adults love the aquatic roller coaster, the heart-pumping speed ride called Centrox and the hair-raising Castle of Terror. In addition to fun rides the park has a sprawling food court and event areas for corporate gatherings, birthday parties, festivals and other fun events. Visitors can buy a one-time entry pass or a “passport” for access to particular attractions. 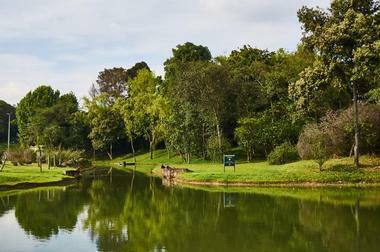 Known for being the largest park in downtown Bogota, Simón Bolívar Park is actually a collection of five smaller parks that have come together over the years. The area contains artificial lakes, several playgrounds, a children’s museum and a Colosseum. At roughly 400 acres, Simón Bolívar Park is larger than New York’s Central Park. Interesting events and gatherings are held at Simón Bolívar all throughout the year, but one of the most well-known events is Rock al Parque, a free rock concert that has been a tradition for nearly 20 years. In recent years Rock al Parque has attracted more than 120,000 visitors from all around the world, and some of the world’s most famous bands have headlined this massive event. 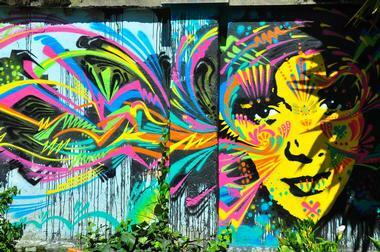 Touring Bogota’s streets is the best way to see the city’s vibrant street art scene. The particular tour is run by the artists who created the graffiti on display. Started in 2011, the tours are a joint effort between an Australian and a Canadian street artist who wanted to share Bogota’s street art with a wider audience. 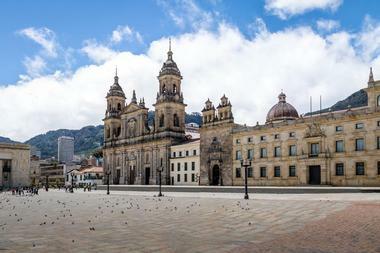 The tour has been considered one of the highlights of visiting Bogota ever since it started. The group offers tours of the city in English, Spanish and German. The sizes of the tours range from one to five people. Tickets can be reserved online. A 50 stories tall, the Torre Colpatria soars over the city. 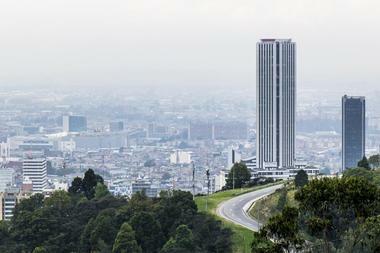 It held the title as the tallest building in Bogota until it was surpassed in 2016 by the completion of BD Bacata’s south tower. The tower hosts the offices of Colpatria Bank and several other financial institutions. The tower is easy to spot at night because the multi-colored LED lights that illuminate the entire structure. Although the tower is primarily for business use, visitors can enjoy panoramic views of the city from the observation deck on the 49th floor. The observation deck is open to the public on weekends and holidays.